Bill Buxton has served 17 years as a Chair for Vistage, a company that organizes and oversees private advisory boards for CEOs, executives, and business owners. As a leader of leaders, Bill has grown accustomed to seeking out interesting programs and speakers to share with his group. He has three criteria for whatever activity he books: it should be “fun, out-of-the-ordinary, and provide an opportunity for leadership growth.” Based on a recommendation, he decided to give TeachingHorse a try—and because of the enthusiastic feedback from the members, he will be soon taking another group. Bill recounts that his chief reservation driving out to TeachingHorse was just to “make sure we found it.” Of course this is humorous, but it also points out a key fact: leaders of businesses and organizations are completely taken out of their normal environment when they visit TeachingHorse, and that is by design. Upon arrival, the group met at the house for a greeting and an overview, then was taken outside to be introduced to the Diamond Model. At this point, after being divided into three groups, the Vistage members experienced their first interaction with the horses. The second activity was also solo: ask the horse to move backward and forward. For Bill, this was instructive on two levels: he learned lessons from his peers, and through his own interactions with a horse. One man was overly affectionate with a horse, even though it was not responding to his request to move. Bill could see the workplace application: leadership is ineffective—even when exceptionally benevolent—when rewards are given for non-performance. 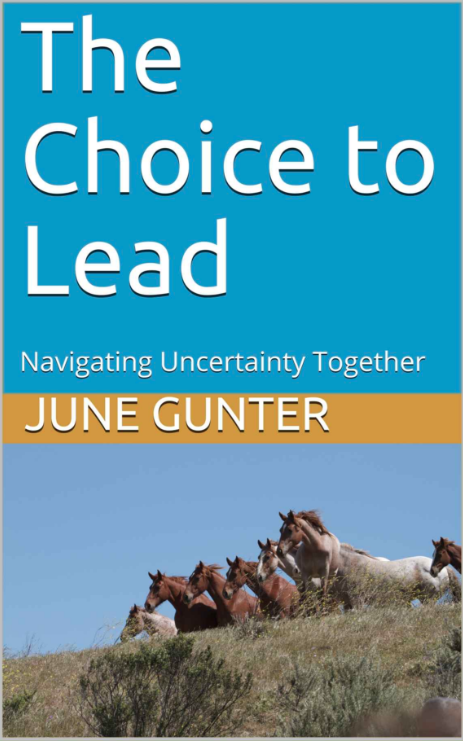 Bill also conceded that “the horse nailed the secret of [his] leadership challenges.” These are courageous words, which emerged from actual experiences. 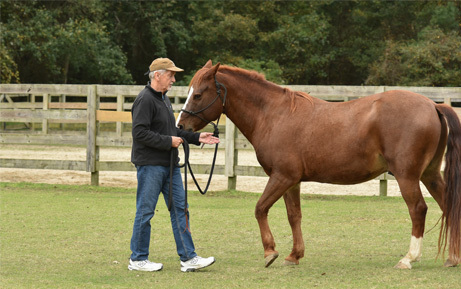 When attempting to give the horse direction, Bill said “I was so into my own head that I wasn’t connecting emotionally to the horse.” This was a poignant moment for Bill because he had undergone many similar experiences in his professional career. He knew the plan in his own mind, but had difficulties verbalizing it to the team. Once he communicated his request clearly, the horse responded beautifully. Bill then asked the horse to move forward, and was displeased when the horse took (only) a step or two in the correct direction. A facilitator offered: “The horse already did what you want and you’re not satisfied.” Once again, Bill had a déjà vu leadership moment, remembering how energetically he had driven his teams over the years, often not recognizing when they had achieved his original objectives. Maybe he “was expecting too much,” he said. At TeachingHorse, leadership voids are identified, and leadership skills are refined. The last part of the day was a group activity that allowed the Vistage members to experience shared leadership, as they learned about the various roles that horses play (and pass along) in their herds. This was also a valuable activity for the entrepreneurs and business owners, because too often they tend to play all of the major roles in their organization. They learned that shared leadership leads to shared responsibilities and shared successes. The reviews of the days were overwhelming positive, and Bill recalls how one member called it “the best retreat ever.” And there was one additional—and perhaps unexpected—level on which the lessons of the day could be applied: personal. One member learned that he was too passive in his overtaking the family business from his father, calling his TeachingHorse-induced epiphany a “life changing moment.” Another learned about how to better blend her own needs with those of her family. Specifically, she found herself complacent when it came to evaluating the horse’s responses; in her family life, she admitted that she was too willing to let family members to do what they wanted. She needed to make changes to better take care of herself and her emotions. It is plain to see why one Vistage member said the TeachingHorse experience was “very informative,” and even plainer to see why the Vistage group is returning for another visit. Contact 919-333-9961 or junegunter@teachinghorse.com to get started.